To help with the concerns for a cleaner environment, by lowering emissions, PMC Ltd. is happy to do our part towards a cleaner planet. Welcome to the Product selection section of our website. Please select your product and just choose the link for your particular application. NOTE: All "checkout prices" will have applicable Provincial Taxes added to the displayed cost of the product. Thank you. "Drop-in Units" Applications Click Here"
These Drop-in applications are for motorcycles, snowmobiles, lawn and garden equipment, small hand held equipment, etc. "Automotive Drop-in Units and Kits" Applications Click Here"
These Drop-in Auto applications older vehicles (pre 1990), custom cars, some Import car models and other applications such as outboard motors etc. These Kits come with "Factory type fittings" which plug right into your vehicles existing fuel line fittings. These Diesel applications are for passanger trucks with Cummins, Powerstroke, Duramax, etc type engines. 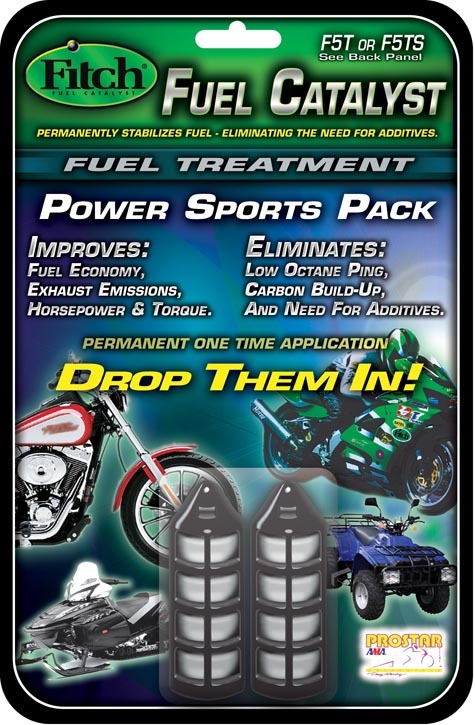 These applications are used for installation when no Fuel Injection lines are present or older carborated vehicles. The Fitch Fuel Catalyst is UL Listed 37YC for Home heating furnaces, etc. The Fitch Fuel Catalyst is UL Listed 37YC, for heating applications, and has been certified under the EPA Voluntary Aftermarket Parts Certification Program 40CFR85.2114. As a result of this certification, warranty coverage may not be denied or voided based on the presence of the Fitch Fuel Catalyst.These units are safe to install on your home or industrial heating systems. Special Note: Please be sure you have the correct application number for your vehicle before you use the Buy it now feature. If you are not sure please compare with the vehicle lists provided here. or call us toll free at 1-866-463-4824 (GOFITCH). Free Shipping in Canada on Retail orders over $119.90! !